Bearwood Traders have gone all hi-tech with a new digital radio service that will link up businesses and alert traders of issues in our shopping centre. The new, state-of-the-art system replaces an old, outdated analogue system which had limited use and reach. The new radios can broadcast over a three mile radius, thereby linking-in traders who previously couldn't access the old system. The new security system also links directly into Sandwell police who can respond quickly to incidents as they occur. 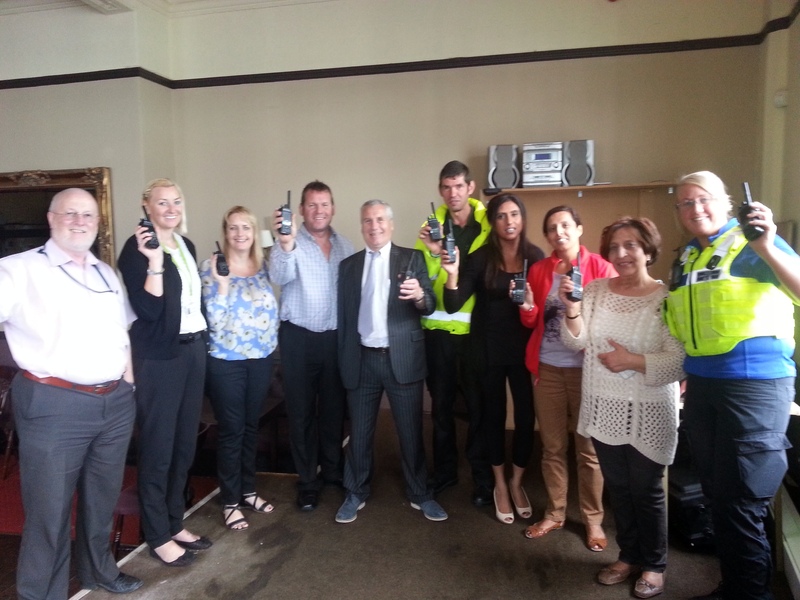 Traders Association Chair Richard Marshall said, “The first tranche of radios were snapped up in less than an hour today as traders and wider community organisations wanted to be involved with the new Bearwood linked-in system. Nationals such as Tescos and Boots were more than happy to sign up, as well as smaller independent traders such as Global Wines and the Bearwood Indoor Market . This brand new state of the art system has come about following a partnership with local councillors who subsidised the radios, and co-operation from Smethwick police. 1 Response to On the radio….